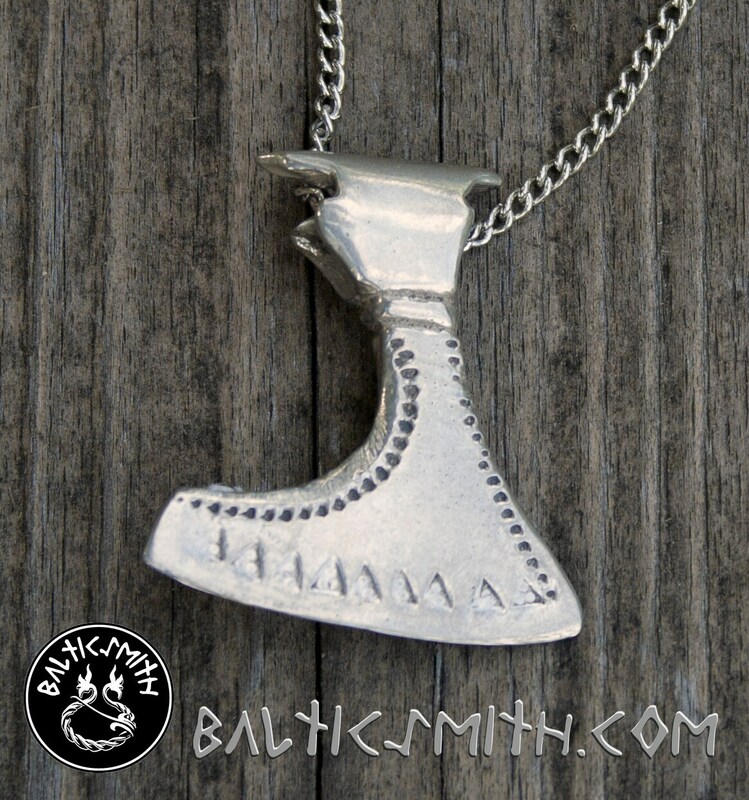 Iron Age ax charm, 29 x 32mm (1⅛ x 1¼"), based on a full-size ax found in Latvia. 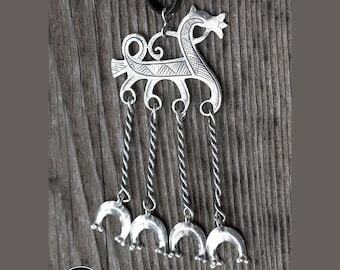 This charm is also available in bronze. See photos for samples of chains, laces, cords.